Nepal Bank Limited, Central Office, Human Resource Department today publishes exam routine for the written examination and the exam center for various level of vacancies for both internal promotion and open competition. This examination will be conducted by loksewa aayog. 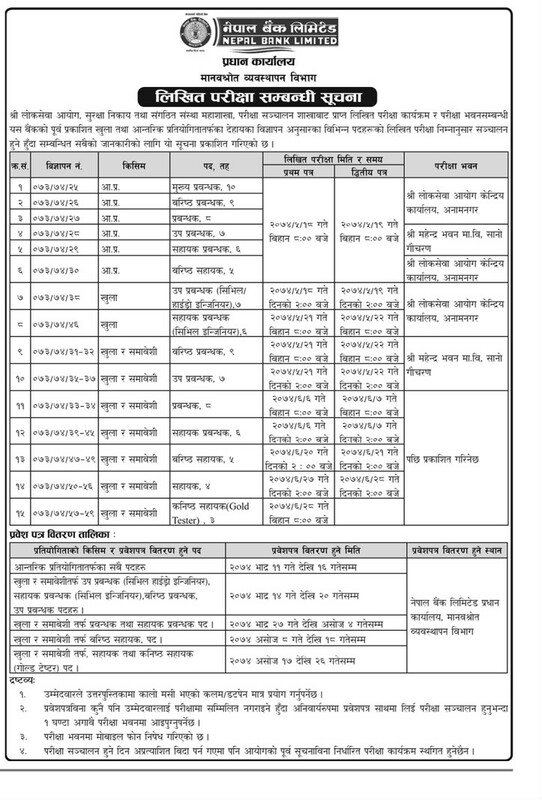 Earlier Nepal Bank has publishes vacancies for 3rd, 4th, 5th, 6th, 7th, 8th and 9th Level to be fulfilled by open competition.